South Korea’s female swimmer Kim Seo-young (24) has won a gold medal at the 2018 Asian Games. On August 24th, Kim came in first place with the record of 2:08:34 during the women’s 200m individual medley final, which took place at the Indonesia Jakarta’s Gelora Bung Karno swimming pool. With her record, Kim Seo-young has won the gold medal. Kim’s record is not only South Korea’s best record in history, but also in the Asian Games’ history. Her rival swimmer Yui Ohashi (Japan) came in second place with the record of 2:08:88, which was 0.54 seconds behind Kim’s record. 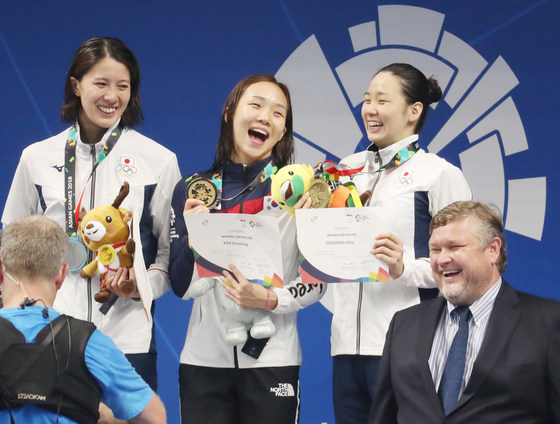 Kim Seo-young’s gold medal is the first gold medal in 8 years that South Korean’s swimmer has won in the Asian Games, since the 2010 Asian Games.